IFN-α, a cytokine expressed in human islets from individuals affected by type 1 diabetes, plays a key role in the pathogenesis of diabetes by upregulating inflammation, endoplasmic reticulum (ER) stress and MHC class I overexpression, three hallmarks of islet histology in early type 1 diabetes. We tested whether expression of these mediators of beta cell loss is reversible upon IFN-α withdrawal or IFN-α pathway inhibition. IFN-α-induced MHC class I overexpression, ER stress and inflammation were evaluated by flow cytometry, immunofluorescence and real-time PCR in human EndoC-βH1 cells or human islets exposed to IFN-α with or without the presence of Janus kinase (JAK) inhibitors. Protein expression was evaluated by western blot. IFN-α-induced expression of inflammatory and ER stress markers returned to baseline after 24–48 h following cytokine removal. In contrast, MHC class I overexpression at the cell surface persisted for at least 7 days. Treatment with JAK inhibitors, when added with IFN-α, prevented MHC class I overexpression, but when added 24 h after IFN-α exposure these inhibitors failed to accelerate MHC class I return to baseline. IFN-α mediates a long-lasting and preferential MHC class I overexpression in human beta cells, which is not affected by the subsequent addition of JAK inhibitors. These observations suggest that IFN-α-stimulated long-lasting MHC class I expression may amplify beta cell antigen presentation during the early phase of type 1 diabetes and that IFN-α inhibitors might need to be used at very early stages of the disease to be effective. Alexandra Coomans de Brachène and Reinaldo Sousa Dos Santos contributed equally to this study. The online version of this article ( https://doi.org/10.1007/s00125-017-4536-4) contains peer-reviewed but unedited supplementary material, which is available to authorised users. The overexpression of MHC class I in pancreatic islets, probably secondary to local IFN-α production, is a key feature in the pathogenesis of type 1 diabetes [1, 2]. The primary function of MHC class I is to transport intracellular (endogenous or viral) peptides to the cell surface, where they are presented and recognised by cytotoxic CD8+ T cells, leading to killing of the antigen-expressing cells or, in some cases, to development of tolerance . IFN-α induces MHC class I overexpression, inflammation and endoplasmic reticulum (ER) stress in human beta cells [4, 5]. These effects are mediated via activation of the Janus kinase (JAK)–tyrosine kinase 2 (TYK2)/signal transducer and activator of transcription (STAT) pathway , with a key role for the type 1 diabetes candidate gene TYK2, whose encoded protein phosphorylates and activates STATs [4, 5]. JAK/TYK2 inhibitors have been recently approved for the treatment of other autoimmune diseases, such as rheumatoid arthritis . To evaluate the possibility of targeting the IFN-α pathway for the treatment of type 1 diabetes, we tested whether the effects of IFN-α are reversible upon cytokine withdrawal or IFN-α pathway inhibition by the JAK inhibitors ruxolitinib and cerdulatinib. The human beta cell line EndoC-βH1 (kindly provided by R. Scharfmann, University of Paris, France) was cultured as previously described . These cells were free from mycoplasma infection, as evaluated by the MycoAlert Mycoplasma Detection kit (Lonza, Basel, Switzerland). Isolation of human islets from three non-diabetic organ donors (see electronic supplementary material [ESM] Table 1) was performed in accordance with the local ethics committee in Pisa. After arrival in Brussels, islets were dispersed and cultured as previously described . All experiments with EndoC-βH1 or human islet cells provide independent biological data (i.e. considering EndoC-βH1 cells from different passages or human islets from different donors as n = 1). Where indicated, cells were treated with human IFN-α (PeproTech, Rocky Hill, NJ, USA) 20 U/ml or 1000 U/ml  for 24 h and then either studied immediately or after 1–7 days of culture following removal of the cytokine. Cells were also treated with the JAK/TYK2 inhibitors ruxolitinib (kindly provided by Calibr, La Jolla, CA, USA), cerdulatinib (Selleckchem, Munich, Germany) and Bayer-18 (Synkinase, San Diego, CA, USA), added before or after IFN-α, or cycloheximide (CHX; Sigma-Aldrich, Darmstadt, Germany) (see ESM Methods for details of study design). EndoC-βH1 cells were plated in 24-well plates (150,000 cells/well). After treatment, cells were incubated with mouse anti-MHC class I antibody (W6/32) (1:1000) for 2 h and subsequently with a BV421-conjugated secondary antibody before analysis using flow cytometry (FACSCanto; BD Biosciences, San Jose, CA, USA) as previously described . The cell populations were separated based on size and granularity and further analysed for BV421 fluorescence. See ESM methods for details of western blot analysis and ELISA. EndoC-βH1 cells were plated in 96-well plates (45,000 cells/well). After treatment, poly(A)+ mRNA was isolated using the Dynabeads mRNA DIRECT kit (Thermo Fisher, Waltham, MA, USA) and reverse transcribed as previously described . Quantification by real-time PCR was carried out using SYBR Green. Gene expression values were corrected by the housekeeping gene β-actin, as its expression is not affected by the conditions used in this study . The following primers were used: human β-actin, human HLA-ABC, human CXCL10, Human MX1, Human CHOP and Human BIP. See ESM Table 3 for details of primers. Data are expressed as means ± SEM. A significant difference between experimental conditions was assessed by one- or two-way ANOVA followed by paired or unpaired t test with Bonferroni correction using GraphPad Prism 6.0 (www.graphpad.com). A p < 0.05 was considered to be statistically significant. IFN-α, tested at two concentrations (1000 U/ml and 20 U/ml), strongly induced the production of MHC class I (Fig. 1a–c and ESM Fig. 1a–c), the inflammatory markers chemokine C-X-C motif chemokine ligand 10 (CXCL10) and the antiviral MX dynamin-like GTPase 1 (MX1) (Fig. 1d, f and ESM Fig. 1d,e), and the ER stress markers CCAAT/enhancer-binding protein homologous protein (CHOP, also known as DDIT3) and the binding immunoglobulin protein (BIP, also known as HSPA5) (Fig. 1g, h and ESM Fig. 1f,g) in EndoC-βH1 cells. When IFN-α was removed from the medium (‘wash’) and the cells cultured in its absence for 24 h-7 days, MHC class I protein and, to a less extent, mRNA remained overexpressed for at least 7 days (Fig. 1a–c and ESM Fig. 1a–c), while CXCL10 and MX1 (Fig. 1d, f and ESM Fig. 1d,e) and CHOP and BIP (Fig. 1g, h and ESM Fig. 1f,g) expression had already started to decrease by 24–48 h. CXCL10 secretion to the medium, (ELISA) also decreased by 24 h, returning to near basal (control) levels by 72 h (Fig. 1e). IFN-α-mediated MHC class I overexpression also persisted for at least 7 days in dispersed human islets (Fig. 2). Pretreatment with the JAK inhibitors ruxolitinib and cerdulatinib prevented IFN-α-induced HLA-ABC, CXCL10, MX1 and CHOP expression in a dose-dependent manner (ESM Fig. 2a–h) and also prevented IFN-α-induced CXCL10 secretion (ESM Fig. 2m). In contrast, the TYK2 inhibitor Bayer-18 showed no effect on IFN-α-induced gene expression (ESM Fig. 2i–l) and therefore was not used further. Bayer-18 also failed to inhibit IFN-α-induced MHC class I expression in two other cell lines (HeLa and PANC-1; data not shown). This unexpected observation emphasises the need to validate the different JAK/TYK2 inhibitors in human beta cells ahead of future clinical trials. Despite their ability to prevent IFN-α signalling, ruxolitinib and cerdulatinib did not accelerate MHC class I return to baseline when added after IFN-α stimulation and its subsequent removal (ESM Fig. 3), suggesting that continuous IFN-α signalling is not necessary for the long-lasting MHC class I overexpression observed in human beta cells. The protein synthesis inhibitor CHX significantly reduced MHC class I basal expression, while it did not affect IFN-α-induced MHC class I expression over 16 h (ESM Fig. 4a,b). After 48 h in the continuous presence of CHX, IFN-α-induced MHC class I overexpression remained unchanged and similar to non-CHX-treated cells (data not shown). These results suggest that IFN-α both induces a marked MHC class I overexpression and stabilises the protein at the cell surface. CHX decreased β-catenin, β-actin and BIP levels over time, confirming its efficacy (ESM Fig. 4c,d). MHC class I overexpression is induced by cytokines such as IFN-α  and IFN-γ  in human islets from type 1 diabetes patients. IFN-α also induces human beta cell ER stress and production of chemokines , suggesting that this cytokine is a key player in the early stages of type 1 diabetes and in the transition between innate and adaptive immune responses. We have shown that MHC class I remains overexpressed at the cell surface of beta cells even 7 days following IFN-α withdrawal, while markers of inflammation and ER stress rapidly return to baseline. When added alongside IFN-α, JAK inhibitors prevent these effects of the cytokine. However, they fail to accelerate the return to baseline if added 24 h after IFN-α stimulation, suggesting that continuous IFN-α stimulation is not required for persistent MHC class I overexpression at the cell surface. These findings raise the possibility that IFN-α-stimulated MHC class I expression, together with other inflammatory mediators, amplifies beta cell antigen presentation in early type 1 diabetes and suggest that IFN-α inhibitors might need to be used very early in the disease to be effective. The window of opportunity for an eventual use of JAK inhibitors as therapeutic agents in type 1 diabetes will need to be investigated further. Expression of a type I IFN response signature in circulating cells actually precedes the detection of autoantibodies in children at risk for type 1 diabetes [7, 8]. If detection of this signature becomes part of the routine follow up for at-risk children, its presence could indicate an ideal moment for intervention. Alternatively, normoglycaemic children positive for two or more autoantibodies could be considered, but it remains to be seen whether this will revert putative local manifestations of activated innate/adaptive immunity. It is noteworthy that IFN-α not only induces a massive overexpression of MHC class I but also seems to stabilise the protein at the cell surface of human beta cells (present data). In line with this, IFN-γ induces both MHC class I expression and stability at the cell surface in murine myeloblast cells . Ligand-free MHC molecules that reach the cell surface are rapidly degraded . Thus, the prolonged maintenance of MHC class I expression at the beta cell surface may be due to the parallel abundance of antigenic peptides generated in response to IFN-α . What is the biological significance of this prolonged IFN-α-induced expression of MHC class I mRNA and protein in human beta cells? Continuous expression of MHC class I complexes in the absence of co-stimulation might induce immune tolerance rather than immunity . It is thus conceivable that, following a short local innate immune response (e.g. following brief danger signals provided by a limited viral infection or exposure to nuclear debris from dying cells), transitory IFN-α stimulation leads to prolonged MHC class I expression in the absence of parallel chemokine production or expression of costimulatory molecules, favouring the switch from immunity to immune tolerance. Another possibility is that the prolonged expression of MHC class I on the target cells enables the immune system to efficiently detect and delete beta cells expressing foreign peptides, for example, removing cells with a low level or early viral infection, thus preventing a second wave of infection. The role for the observed prolonged MHC class I expression in beta cells might be context dependent and additional studies are required to provide clarity on this issue. 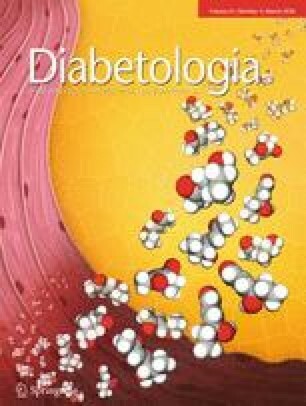 The authors are grateful to A. Op de Beeck for advice and help on the FACS analysis, and M. Pangerl, A.M. Musuaya, N. Pachera, Y. Cai and I. Millard of the ULB Center for Diabetes Research, Université Libre de Bruxelles, Belgium, for excellent technical support. ACdB and RSS contributed to the original idea and the design of the experiments, researched data, contributed to discussion, and wrote, revised, and edited the manuscript. LM, MLC, LoM and PM researched data and revised and edited the manuscript. RGM contributed to the original idea, experimental design and interpretation of the experiments, and revised and edited the manuscript. DLE contributed to the original idea and the design and interpretation of the experiments, contributed to discussion, and wrote, revised and edited the manuscript. All authors have read and approved the final version of the manuscript, and gave informed consent. ACdB and DLE are the guarantors of this work and, as such, had full access to all the data in the study and take responsibility for the integrity of the data and the accuracy of the data analysis. This work was supported by grants from the Horizon 2020 Program T2Dsystems (GA667191) to DLE and the NIH-NIDDK-HIRN Consortium 1UC4DK104166-01, USA, to DLE and RM. DLE and PM have received funding from the Innovative Medicines Initiative 2 Joint Undertaking under grant agreement No 115797 (INNODIA). This Joint Undertaking receives support from the Union’s Horizon 2020 research and innovation programme and EFPIA, JDRF and The Leona M. and Harry B. Helmsley Charitable Trust.